The results of the elections for Chief Rabbi may end up pulling the Bayit Yehudi party apart. The Bayit Yehudi party, as representative of the Religious Zionist movement, is a single party with two factions: the Bayit Yehudi faction, which sees itself as spiritual heir of the National Religious Party (NRP), and Tekuma, seen as the more right-wing and more religious of the two factions. The coalition between the two has had its ups and downs, but the recent campaign for the election of Chief Rabbi has increased tensions between the factions – to the point where party head Naftali Bennett, identifying with the Bayit Yehudi/NRP faction, said that he could consider running in the next election without Tekuma. The division between the factions had its most direct impact in the decision by the party of which candidate to back for the office of Chief Ashkenazic Rabbi. The party ended up officially supporting Rabbi David Stav, Chief Rabbi of Shoham and head of the Tzohar organization. However, Tekuma members and MKs were uncomfortable with the choice, preferring the Chief Rabbi of Ramat Gan, Rabbi Yaakov Ariel, whom the venerable Rabbi Chaim Druckman tried to run. This involved changing the maximum age law (which was passed several dcades ago to prevent a specific former chief rabbi from running again) and Bennett did not support the change.Tekuma then then preferred Rabbi Yaakov Shapiro, who was seen as more acceptable to hareidi leaders and could have gotten enough hareidi votes to win the election. 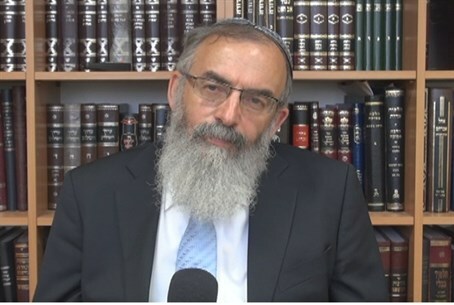 According to reports, Housing Minister Uri Ariel, the acknowledged leader of the Tekuma faction, told members of the electoral body that chose the chief rabbis last week that Tekuma recommended they vote for Rabbi Shapira – despite the decision that the party voted on to support Rabbi Stav. Bennett is not the only Bayit Yehudi faction member to make such comments. Uri Orbach said after the election result last week, which saw Rabbi David Lau – supported by hareidi parties – elected as Chief Ashkenazic Rabbi, that “the main problem among Religious Zionists is on the inside. There were rabbis who were willing to do anything to ensure that Rabbi Stav was not elected. We cannot allow this to pass without action,” Orbach said. However, analysis shows that since Rabbi Shapira's votes were split between hareidi and religious Zionist voters, that Rabbi Lau would have still won the election had Shapira not run. Other media pundits claim that Bennett somply made the wrong choice of candidate.